Wow! Nothing like having a fifth-story window right outside your first-story front door. That’s quite an arrangement. I wonder which came first—the giant chicken or all the little surrounding eggs. Yes, and it’s one we ought to remember more. Unfortunately, those who have served and died have been pretty much swept under the rug by those for whom they have served and died. Thank you. Wow amazing picture – I was going to ask where it was but I’ve noticed you had already answered that. Makes me very honoured to have the space around my home I do. Wow! How on earth would you find your way home if you lived there? Fabulous photo! One incredibly crowded area in one remote spot! One would have thought one would think of spreading them out a bit more round the Larung Gar. Well, at least you would have no trouble in knowing when you’d left town. It ends very abruptly! Thats a lovely photo, Is it Tibet? 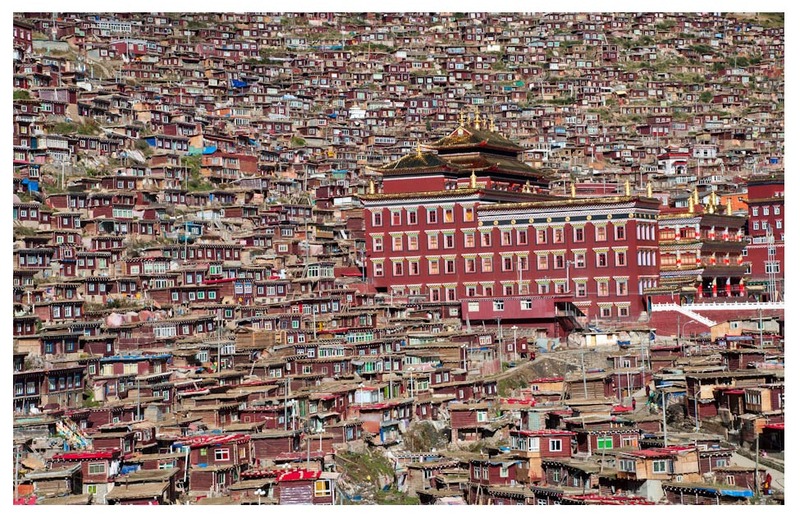 Yes, it is and to be specific Larung Gar Buddhist Academy. such a inspirational picture you have chosen -Brilliant for the challenge!